In recent months, the media have frequently raised the specter of the federal government falling off the "fiscal cliff." Next Wednesday evening, economist Dean Baker will take on the "fiscal cliff" in a talk at Dickinson College in Carlisle. If you plan to be in the Harrisburg-Carlisle area, come out and hear Dean explain why much of the discussion about "falling off the fiscal cliff" fundamentally misrepresents both the short- and long-term budget challenges we face as a nation. The forum will begin at 7 p.m. on Wednesday, November 7 at Dickinson College's Anita Tuvin Schlechter Auditorium, 333 West High Street, Carlisle, PA 17013. The Keystone Research Center is cosponsoring the forum along with The Clarke Forum for Contemporary Issues and the Departments of Economics and Policy Studies at Dickinson. It's free and open to the public. Learn more here. 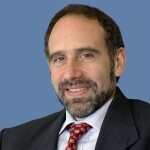 Dean Baker is co-director of the Center for Economic and Policy Research in Washington, DC and is the author of The End of Loser Liberalism: Making Markets Progressive, Taking Economics Seriously, False Profits: Recovering from the Bubble Economy, and several other books. He often comments on the economy in interviews on TV and radio programs, including CNN, MSNBC, PBS NewsHour, and National Public Radio. His blog, Beat the Press, features commentary on economic reporting.